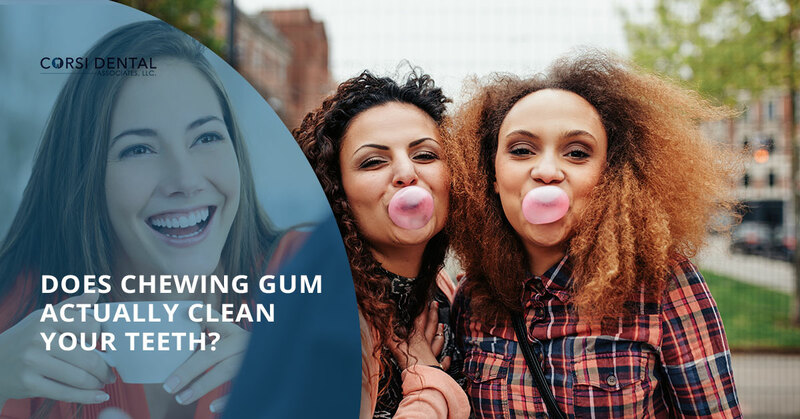 Dental Care Woodbury: Does Chewing Gum Really Clean Your Teeth? It’s probably a myth that you’ve heard before: chewing a piece of gum after you eat can help to keep your mouth clean until you get a chance to brush. Does that actually work, or is it just one of those things that people say without having any real evidence? Without digging deeper, it kind of seems like the type of thing that might be real. After all, chewing gum can surely help to get rid of plaque particles and dislodge food that’s stuck between your teeth, right? On the other hand, many gums have sugar in them, and sugar causes cavities. Do the supposed benefits outweigh the downsides? What’s fact and what’s fiction? 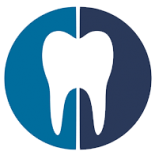 At Corsi Dental Associates, we’ve been providing our patients with exceptional dental care for many years now, and thankfully, we have the answer you’re looking for. If you’ve ever popped a piece of gum into your mouth with the hopes that it would be almost as good as brushing, keep reading to learn more. So what do we know is for sure true about gum? It smells good (usually) and it helps to make your breath feel at least a little bit fresher. Here’s the truth: gum isn’t a substitute for brushing or flossing, but it can help your mouth. According to the American Dental Association, “The physical act of chewing increases salivary flow in the mouth; if chewed after eating, the increased salivary flow can help neutralize and wash away the acids that are produced when food is broken down by the bacteria in plaque on teeth.” So there you have it. Gum can help to get rid of some of the harmful things in your mouth. The acids that exist in your mouth after a meal can wind up being rather harmful for the enamel on your teeth, and as you probably know, when your enamel breaks down, you start to have problems. As a matter of fact, as long as the gum is sugarless, a number of different pieces of research have found that gum can even help to prevent tooth decay. As we mentioned above, however, chewing gum isn’t a good substitute for taking more in-depth care of your teeth. At the end of the day, brushing, flossing, and using mouthwash multiple times a day is always going to be the way to go. But you don’t exactly want to be the person that carries a toothbrush around all the time and brushes their teeth at work, so where does that leave you? With gum, and essentially what we’re saying is that at worst, it’s better than nothing, and at best, it can help to keep your teeth a little healthier. What Kind of Gum Works Best? Now we’re certainly not going to advocate for one brand of chewing gum over another. What you can expect, however, is for us to share a few things to look for in a pack of gum. As you probably know, there are about a million different options available on the market today and you can get flavors ranging from classics like peppermint, cinnamon, and spearmint to more unique flavors such as bubblemint (whatever that is), citrus, cotton candy, and more. Whatever your preferences are, the truth is that some of these gums are better than others. Our advice? Take a look at the package for the seal of approval from the American Dental Association. If you don’t see it, that doesn’t necessarily mean that that particular gum is a no go. It simply means that you should take a close look at the ingredients. Generally speaking, the best thing you can do is to choose a gum that doesn’t contain any sugar. Research is inconclusive on the effects of artificial sweeteners, but when it comes to your oral health, our though on the matter is that it’s better for your teeth than sugar. Okay, so gum isn’t the cure-all solution that some people thought it was. That’s okay, because we’d like to share the secret to having healthy teeth and gums, and it probably won’t shock you to find out that it’s not really that much of a secret. Here it is: the best thing you can do for your mouth is to see a dental care specialist regularly. That’s right — semi-annual trips to see your dentist is the way to go. He or she can advise you on the best methods to deal with the specific issues that you might be facing. Thankfully, if you’re looking for a dentist in Woodbury, we’d love to see you! We’re a family-owned dental clinic and we built our practice around meeting the needs of our patients. At the end of the day, seeing us regularly is ideal because it means that we’ll be able to offer insight into what you’re doing well and what might need work. The truth is that everyone could use some pointers when it comes to dental care. Sometimes it’s because they need to focus their brushing on a specific part of their mouth and other times it’s because they need dental implants replaced. Whatever the case may be, we’d love to provide you with exceptional care at every step of the way.